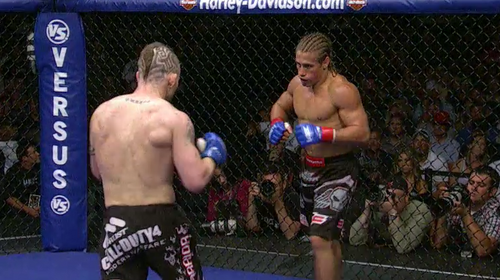 WEC 34: Faber vs. Pulver from June 1, 2008. 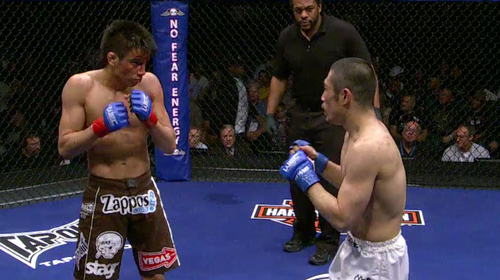 Miguel Torres vs. Yoshiro Maeda WEC 34 Jun 1, 2008 (18:45) Making his first title defense, WEC bantamweight champion Miguel Torres who was riding a wild 14 fight win/stoppage streak was ready to clash with knockout artist Yoshiro Maeda who was on a five fight unbeaten streak including a KO win in his WEC debut. 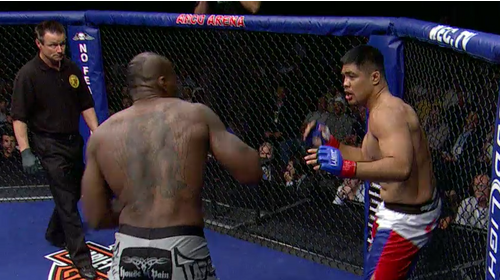 Mark Munoz vs. Chuck Grigsby WEC 34 Jun 1, 2008 (8:29) In a dueling WEC debut, former NCAA Division I National Champion wrestler “The Filipino Wrecking Machine” Mark Munoz with his 3-0 MMA record readied to rumble with Chuck “The Reverend” Grigsby who was riding an eight fight win/stoppage streak. 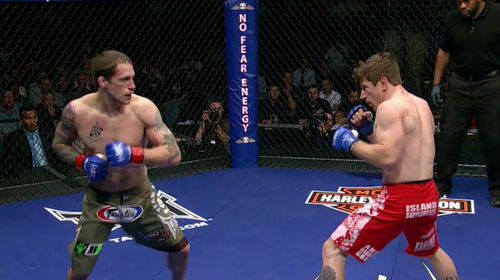 Rob McCullough vs. Kenneth Alexander WEC 34 Jun 1, 2008 (19:38) Returning to the cage for the first time since dropping the belt, former WEC lightweight champ “Razor” Rob McCullough entered the cage to avenge a loss against Kenneth “The Machine” Alexander who took the first win via decision. Donald Cerrone vs. Danny Castillo WEC 34 Jun 1, 2008 (7:06) Someone’s 0 had to go as Team Jackson’s Donald “Cowboy” Cerrone, who had all seven of his wins come via submission, entered the WEC cage for the second time to clash with Team Alpha Male’s Danny “Last Call” Castillo, who had all five of his wins come via stoppage. Mike Brown vs. Jeff Curran WEC 34 Jun 1, 2008 (22:31) Making his WEC debut, American Top Team product and former NCAA D3 wrestler Mike Brown was riding a six fight win streak into the WEC cage to tangle with BJJ blackbelt Jeff “Big Frog” Curran who split the difference in his first two WEC bouts. 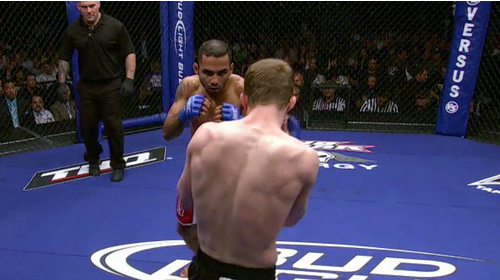 Will Ribeiro vs. Chase Beebe WEC 34 Jun 1, 2008 (22:11) Returning to the cage for the first time since dropping the belt, former WEC bantamweight champ Chase Beebe with his 11-2 pro record was set to scrap with debuting KO artist Will Ribeiro who was 9-1 in MMA and was a former Brazilian Olympic boxer. 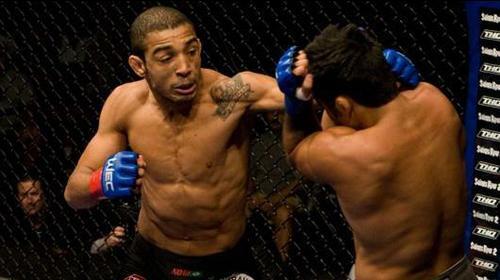 Jose Aldo vs. Alexandre Franca Nogueira WEC 34 Jun 1, 2008 (13:09) 21-year-old future UFC Featherweight Champion Jose Aldo put his devastating ground-and-pound game on display against longtime Shooto Lightweight Champion Alexandre Franka Nogueria. Dominick Cruz vs. Charlie Valencia WEC 34 Jun 1, 2008 (22:53) After dropping down to the 135lbs division, Cruz promised he’d be a different fighter. 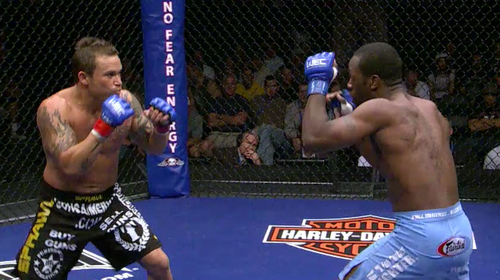 He'd have to back those words up in his 135lbs debut against top contender Charlie Valencia.